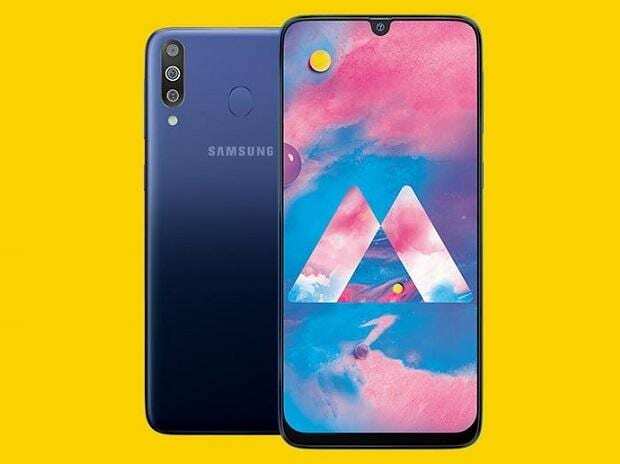 South Korean electronics major Samsung recently introduced the Galaxy M-series with the launch of the Galaxy M20 (review) and Galaxy M10. The company is now gearing up to launch the Galaxy M30 on February 27, a day before the launch of Xiaomi Redmi Note 7. Though the phone’s specifications and features are not known, the company’s recent tweet shows the phone’s profile from the front and rear. As shown in a picture in tweet, the phone would sport company’s Infinity-U notch screen on the front and a tri-camera set-up on the back. The phone is expected to feature a 6.4-inch screen of fullHD+ resolution. Unlike the TFT screen of the M20 and M10, the M30’s is expected to go for a super AMOLED panel. On the imaging front, the tri-camera set-up on the back is expected to feature a regular lens, ultra-wide angle lens and a depth sensor. The camera configurations are unknown. They are expected to be similar to the dual camera module seen in the M20, but with an addition of depth sensor for improved portrait shots. The phone is expected to be powered by either recently announced Exynos 7904, which is the same processor that ticks inside the Galaxy M20, or the Exynos 7885, which is similar to the Exynos 7904 but has a more powerful dual Cortex A73 cores. The phone would also sport a rear mounted fingerprint scanner. The phone is expected to come in two RAM and storage variants – 4GB/64GB and 6GB/128GB. It is also expected to pack a 5,000 mAh battery. The Amazon-exclusive smartphone will launch in India on February 27 at 6 PM.